﻿Hailing from the (then) almost rural edges of small town suburbia in Pearland, Texas, four teenagers assembled in a garage game room to explore the musical soundtrack to their own teenage angst—a mixture of ennui, cynicism and apprehension of impending adulthood. They had all known each other for years and had played in an assortment of bands together. This time, however, David Bean, Dane Cessac, Sam Roush and Jeff Walton wanted to do something different: actually become part of a music scene. The blossoming punk/new wave movement that began to take hold in the late 1970s afforded young bands an opportunity to make up what they lacked in talent and musical virtuosity with enthusiasm, attitude and creativity. 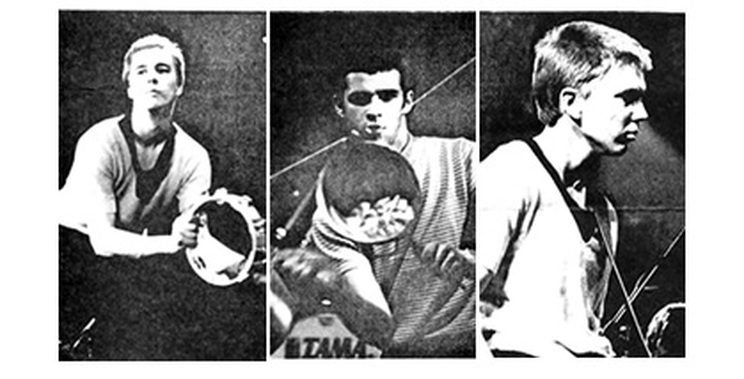 The Pearland quartet, dubbed The Jets, saw the time as ripe for fledging garage bands such as themselves to become minor league rock and roll players. With savings in hand, the boys set out to Rampart Studios to cut their first single,Teenage Hang-ups, as a way to promote themselves to local live music venues. Guitarist Sam Roush lost his life in an accident while the band was awaiting the record’s pressing and their debut performance at the high school dance. 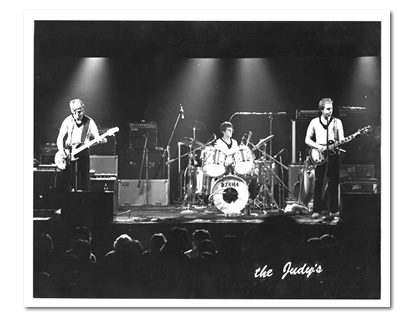 With the future of the band at a crossroad, a decision to keep the remaining members without a replacement led to what would become the signature minimalist sound of The Judy’s. Basing their name around the graphic elements and images of the 1950s that pervaded the musical movement at the time and recalled a period of naiveté and hope in the future, The Judy’s (“Possessive,” singer David Bean points out. “We didn’t want it to be plural as if we were each ‘a Judy’”) quickly envisioned a new direction for their musical exploration: a stripped down, minimalist sound that reveled in their limitations as both musicians and humans. Using everything from standard instrumentation to vacuum cleaners and pots and pans in their songs, the band created catchy pop hooks around social and political commentary/satire in a way that turned heads and demanded attention. They could simultaneously challenge, impugn and celebrate the pop culture, always aware that they not only had their own feet planted firmly in it, but helped create it. The band never stopped testing their vision on their willing fans. Their live performances solidified an equally quirky public who quickly morphed into a large and intensely loyal fan base. Success was almost immediate from the start, with the band selling out concert halls and opening for the likes of Talking Heads, the Go-Gos, and eventually even touring regionally with the B-52’s. Despite personnel changes throughout the years, along with stretches of hiatus of varying lengths, the band has continued to work together on different projects outside of the public view for years. They continue to write and produce music as time and interest allow.